ROSS Companies, a recognized leader in multi-family acquisitions, development, property management and renovation, has partnered with Learning Ally to provide services for children with learning disabilities in Hyattsville, MD. The ROSS Learning Connection initiative will benefit children attending three schools in the area: Chillum Elementary School, Nicholas Orem Middle School and Northwestern High School. The five-year program will offer a three-pronged approach for providing students with learning disabilities the resources they need for educational success. Deliverables will include a library of audio books for students, training to help educators understand tools and best practices for techniques that can be applied to different classroom learning styles, and group gatherings for parents. These educational sessions will cover topics like how to understand your child’s learning disability and practical ways to work with your child’s teacher. ROSS Companies’ leadership created this partnership to provide enrichment opportunities for the children of the residents of Overlook Apartments who attend participating schools. ROSS Development & Investment President, Scott Ross, says: “We are renovating Overlook Apartments and repositioning the property after 30 years of ownership and management in conjunction with our affiliates, ROSS Management Services and ROSS Renovation & Construction. When we think about renovation and repositioning, we don’t just think about the property, we think about the needs of the residents who live there. Overlook Apartments is undergoing a nine million dollar renovation project slated for completion in summer 2014. 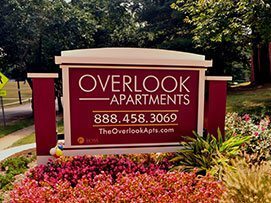 The massive renovation of Overlook Apartments encompasses new apartment interiors, renovation of the common areas and leasing center, new landscaping and signage plus new mechanical systems, roofs and windows. The community features all utilities included and offers affordable housing based on income guidelines. ROSS Companies, founded in 1983 in Bethesda, MD, is a recognized leader in multi-family acquisitions and investment, development, property management and renovation. With more than 11,000 apartment homes in its portfolio, the company is one of the most active multifamily real estate firms in the Mid-Atlantic region. ROSS Companies is comprised of three affiliates – ROSS Development & Investment, ROSS Management Services and ROSS Renovation & Construction. ROSS Development & Investment is celebrating its 30th anniversary this year and ROSS Management Services, which manages 34 apartment communities in and around the Washington, DC metro area, is celebrating 25 years in business. For more information about the ROSS Companies and ROSS Management Services, visit TheRossCompanies.com. Founded in 1948 as Recording for the Blind, Learning Ally serves K-12, college and graduate students, veterans and lifelong learners – all of whom cannot read standard print due to blindness, visual impairment, dyslexia or other learning disabilities. Through its programs and audio books, Learning Ally enables families and schools to manage the needs of students with learning disabilities. The organization offers integrated learning management systems and professional development for teachers, as well as support for parents through personal consultations, webinars and other tools. In addition, Learning Ally’s collection of more than 80,000 human-narrated textbooks and literature titles can be downloaded on mainstream smartphones and tablets, and is the largest of its kind in the world. Several thousand volunteers help to produce the educational materials, which students rely on to achieve academic and professional success. As a 501(c)3 nonprofit, Learning Ally is partially funded by grants from state and local education programs, and the generous contributions of individuals, foundations and corporations. For more information visit LearningAlly.org.